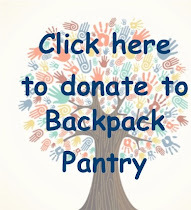 The 2019 Annual Faith Formation Food Drive to benefit BACKPACK PANTRY has begun. On Friday, JAN 25th, the SJV Women’s Group is inviting all the women of the parish to come for a few cozy hours of fun and Catholic fellowship. Please bring yourself, an hors d’oeuvres to share, and your favorite beverage. Don’t miss this evening of warmth during the chilliness of winter! In honor of Martin Luther King and the 3-Day Weekend, there is no Gospel Study class or Youth FF this weekend. Next weekend all classes will meet. Give the gift of time and yourselves to your spouse. Sign up today to attend one of the upcoming Worldwide Marriage Encounter Weekends at the Sheraton Hotel, Bellevue on February 15-17, 2019. Or at the Holiday Inn and Suites in Astoria, OR, Jan. 25-27, 2019. Or at the La Quinta Inn and Suites in Tacoma, WA March 29-31,2019 Apply at wwme.org. For more information leave a message at 206-772-2344. Sign up today. (prefer 30 days in advance).